This post is sponsored by BabbleBoxx and the brands reviewed below. There are only 13 more shopping days left until Christmas. If that doesn’t smother you with a sense of urgency, I don’t know what will. 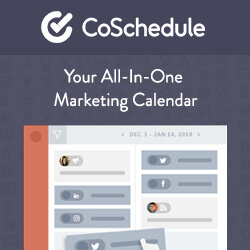 With less than 2 weeks to go, things are getting pretty tense in the retail world and while some of you may already have all of your holiday shopping done, others haven’t even started yet. Why? Well, holiday madness, strict budgets, and a plethora of options makes searching for the “right gift” somewhat overwhelming- especially when it comes to kids. We all want to buy great gifts for our kids that are not only fun but educational and we want to be able to do this easily (or without the mad dash and price gouging). We all want the types of gifts that make both kids and parents happy… but do these types of gifts actually exist? Um… yes they do. You just need to know where to look. And you need to find the time to do your research… but with holiday class parties, work functions, visits with Santa, and regular, everyday life- who has time for that? But again, we’re only 13 days away from Christmas and if you don’t want to risk blowing a large portion of your budget on shipping costs to get your items in time, then skip the research session and check out these items that my kids LOVED. We did the research for you. These 7 great gifts for kids (that parents love, too!) can save you from the long lines, research time, and can even save you some money (keep an eye out for the BONUS discounts you can receive just by being here!). This magnetic toy was a hit with my kiddos. It comes with 22 magnetic strips in 10 different colors and 2 sets of different types of connectors (12 in total). The strips are not only magnetic, but bendable, zipable, snapable, and connectable. The building possibilities are endless. We decided to start easy by attempting the “Beach Ball”. As easy as it looks, it was definitely challenging enough to inspire my kiddos to come up with some very interesting and clever creations afterward. 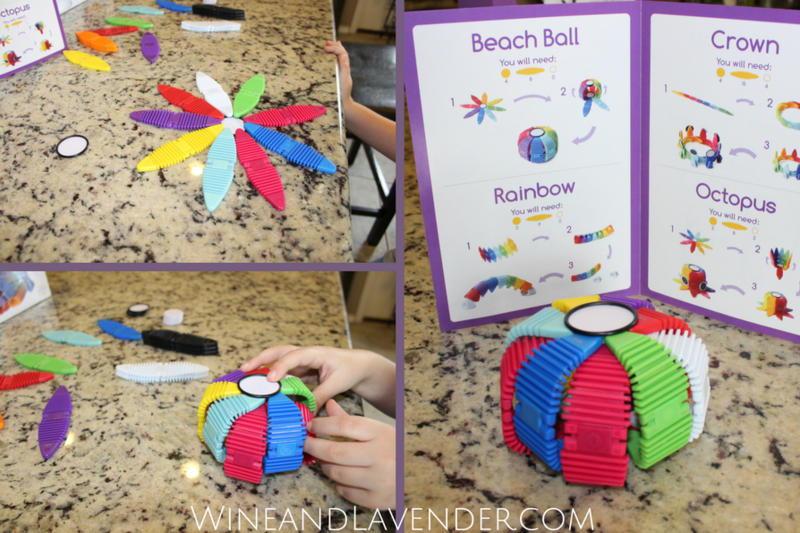 You can purchase additional kits to create even more magnificent creations and this construction toy definitely provides a more than decent amount of play time for the kiddos. We’ll definitely be adding to our collection. This is NOT your typical night light. This award-winning projection system will not only keep the “monsters” away, but it also includes 5 educational disks for your child’s viewing pleasure (and Mom’s delight). The disks are educational in nature- featuring animals, the solar system, telling time and beach scenery/words. Additional disks can be purchased that include Nursery Rhymes, Word Families and Phonics, Math Problems and more. This STEM toy goes beyond just a little night light- it’s a clock and educational projection system. My kiddos chose the solar system disk to “try” and they were wowed by the illuminated solar system projected on their ceiling. It made for a lot of conversation and the kids were excited to see which disk would go in the next night. There is a digital clock and 30-minute timer that automatically turns the base off after 30 minutes (which beats keeping a light on all night!). No need to worry about stocking up on batteries, either. This system comes with an AC adaptor. (Yay!) This is also a gift that can grow with your children because the additional disks keep up with what they are learning as they grow. 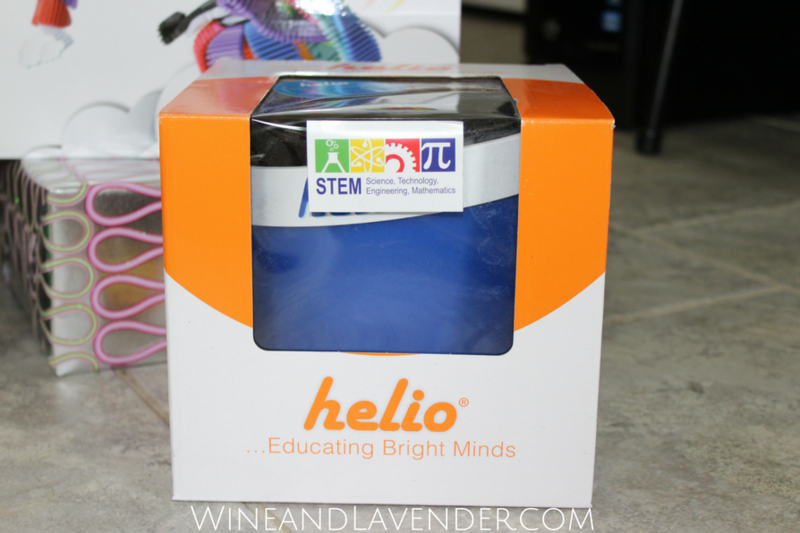 BONUS: If you buy one Helio and enter the code: LearningLight, you get the second for only $34.95- (Good through April 2018). My daughter squealed when she saw this bag and I have to be honest, I was quite excited, too. 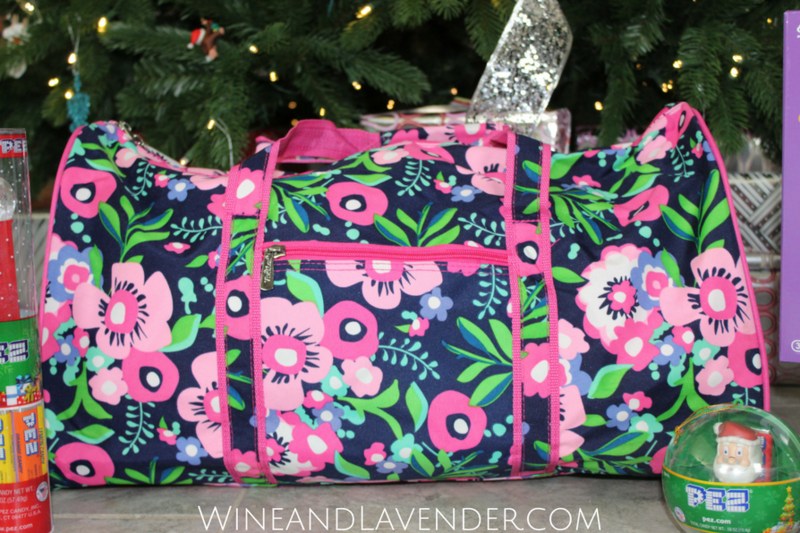 Not only is it spacious but the pattern is cute, and this bag will be so useful for our family!! 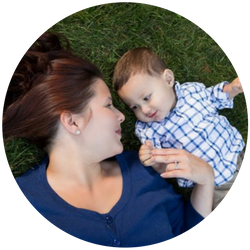 It can be used for overnights, team practices, vacation- basically anytime your little one needs to transport personal belongings. Another great thing about this duffel bag it is that it’s a good size. It’s big enough to hold everything she’ll need, but also small enough for her to transport herself. It can also be personalized by adding a monogram- which makes it a very special children’s gift. If you’re looking for a bag for kids’ travel or practice, this one should definitely be a contender. Check out everything Viv & Lou here. My little guy is the laid-back type. He’s not much interested in getting dressed up, so these shoes are PERFECT for all the functions that require more than just sneakers. They are comfortable, stylish, and durable- making them great for him and perfect for me. These high top sneakers are leather lined and are good for everyday use and function. He gets to “dress down” and I secretly get him to “dress up”- it’s a win for us both. Check out Vince Camuto here. One of the best gifts to give is the gift of imagination. It breeds creativity and fosters a sense of adventure in our kiddos. (It also keeps them off electronics- willingly!) My kiddo is a bookworm and loves a good book but even if she wasn’t, the cover illustration on this hardcover book was phenomenal enough to draw a considerable amount of attention to it. 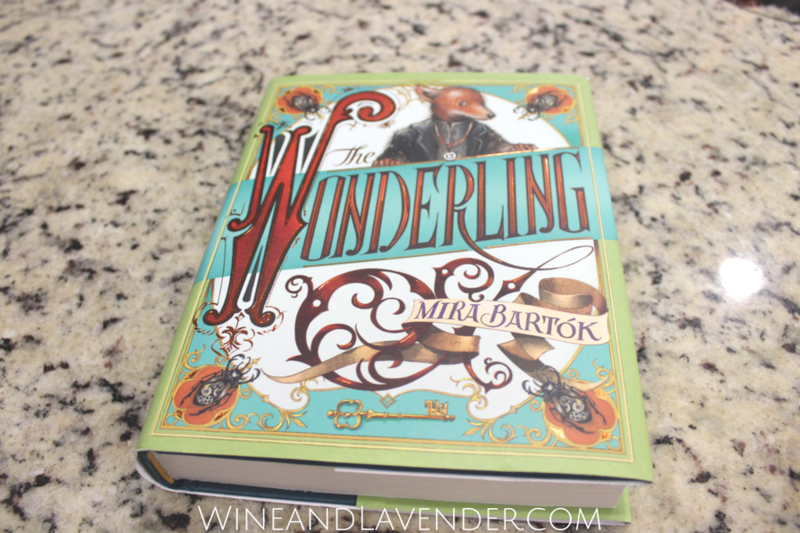 The Wonderling is a great middle-grade adventure book by New York Times bestselling author, Mira Bartók. This story is about a fox who finds himself and discovers his true value with the help of a friend. It brings up pressing modern-day dilemmas like bullying, doing the right thing, and being yourself. It empowers the reader to look past their downfalls and see their true worth. There are so many real-life lessons that can be learned from this book and it’s an incredible read. It’s gift-worthy and sure to become a classic. Find out more about The Wonderling here. BONUS: Use the discount code CANDLEWICK for 25% off of your purchase and FREE SHIPPING. I even have some stocking stuffers for you! PEZ dispensers and candy have been a long time favorite of kids. Each PEZ dispenser features a character and holds candy (that’s refillable). We received one mini-dispenser Christmas ornament and a holiday tube- one is great for the tree and the other fits perfectly in a stocking. We put Santa on our tree right away. The ornament came with 2 refills and the tube with 7 candy refills in the flavors: cherry, grape, orange, and lemon. The kids love to munch on these and they continue playing with the dispensers long after the candy is gone. (Stocking stuffer idea- more PEZ refills!). These are cute, collectible, and affordable. 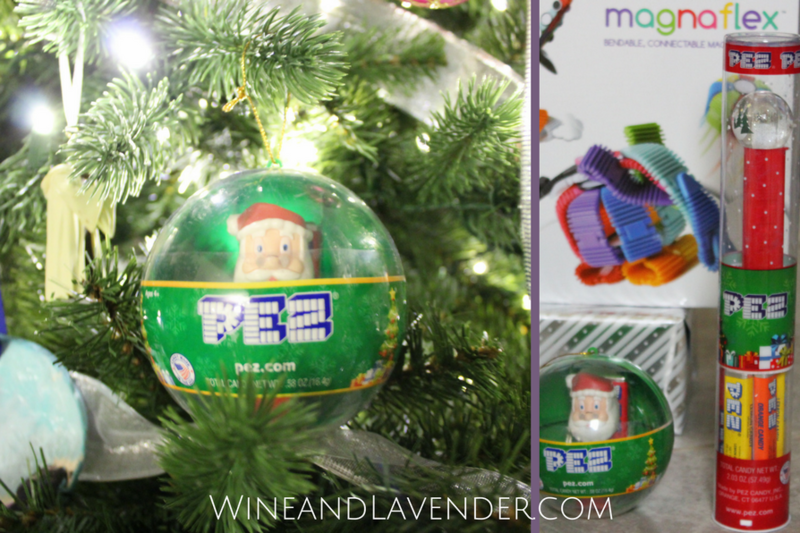 Find out more about PEZ here. This last item really hit home. Christmas is the time of the year where holiday spirit and giving go hand in hand. I’ve mentioned it before on the blog how important it is to show kids the value of being a good citizen and helping out. The gift of giving is what the whole season is about and being the proud parents of two shelter pups, we were more than pleased to receive this gift of donation. 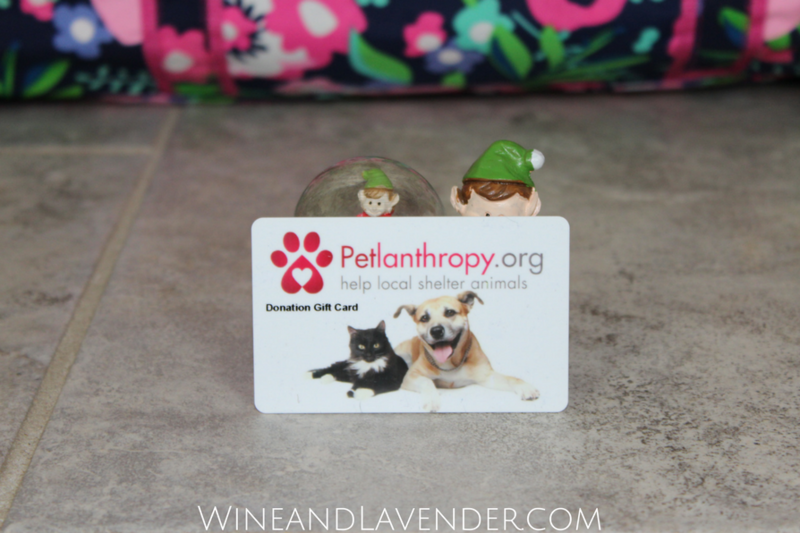 Petlanthropy Donation Gift Cards can be used to make a donation to a local animal shelter and/or project you feel strongly about. We received a $25 donation gift card in our box and are very excited to use it! Beginning December 24th, you can choose a local animal shelter project or donation page to donate to with a Petlanthropy gift card. We are excited to be able to donate to SAPA or San Antonio Pets Alive. From personal experience, I can say that donating to these wonderful pet organizations is wonderful. Watching our wonderful shelter pups grow into obedient, loyal, and loving family members has proved to me that every pet deserves a second chance. Organizations like SAPA make that possible and Petlanthropy is a great way to get them the help they need. We love knowing that our contribution will help pets like our dogs to get medical attention and find a forever home that will care for them in the way they deserve. Giving a scared and vulnerable pet another chance at life is one of the most beautiful gifts that you can give and we absolutely loved this gift idea. BONUS: You can receive special furry and fun surprises when you purchase, share, and gift Petlanthropy Gift Cards. Check it out! All of these items were wonderful. The kids were so happy to get them and continue to play with them. I love the fact that many of them were educational and all of them serve more than one purpose. They truly are great gifts for kids (that parents love, too!). As far as BabbleBoxx is concerned, I love the thought they put into each themed box. The items were not only useful, but made of quality and most importantly, the kids LOVE them all. Which equally enjoyable gifts did you get your kids or the kids in your life this year? Let us know below! For more great ideas, check out: 15 Cheap Activities to Keep Kids Busy During Winter Break, 36 Gift Ideas for Guys, and 40 Unique Gifts for Wine Lovers. Wow! I would have squealed too getting that bag, it’s beautiful! Thanks so much for stopping by, Crystal! Isn’t it gorgeous? And it can be personalized 9to make it even more special). Love it. I would love for my son to get the Pez Ornament and tube. All of these are great gifts for kids! Thanks Krystal- it was definitely one of the best boxes I ever got. I know the time is winding down but these are good gifts to give the kids. I love the Wonderling book it really looks great. I will remmeber these when I shop this week. Hey Melissa! The kids really did love them all. Check out the links and discounts! Hey Krystel! It is a good story… I actually heard a rumor that it was going to be made into a film and think that’s a fantastic idea! These are all great gifts. I would have squealed at the bag too. Those Magnaflex look awesome. I know they would be a hit in this house. It’s so nice to give kids toys that will help them grow and learn! I think these are awesome gift ideas for the kids and I agree that the parents will love them as well. Ohhh the lines. You are so correct about them, and they are getting longer each day that goes by. Some awesome gift ideas here for the kids. They’re the worst, aren’t they? Thanks for stopping by Serena! The light projection and duffle bag look cool. I also love the idea of The Wonderling. These all look like great gifts that mom would like, too. Yes indeed! I liked them all! this a great collection of gifts that any kid would be so happy to receive! I really love the the projection night light. It’s so much fun, especially since you can change up the projection whenever your kids want a change. Books are also great gifts. My nephew is a big reader so we are always finding him new books to add to his collection. Sounds like your nephew is a bookworm like my kiddo! Not a bad thing to be. (And Wonderling is truly a wonderful story). 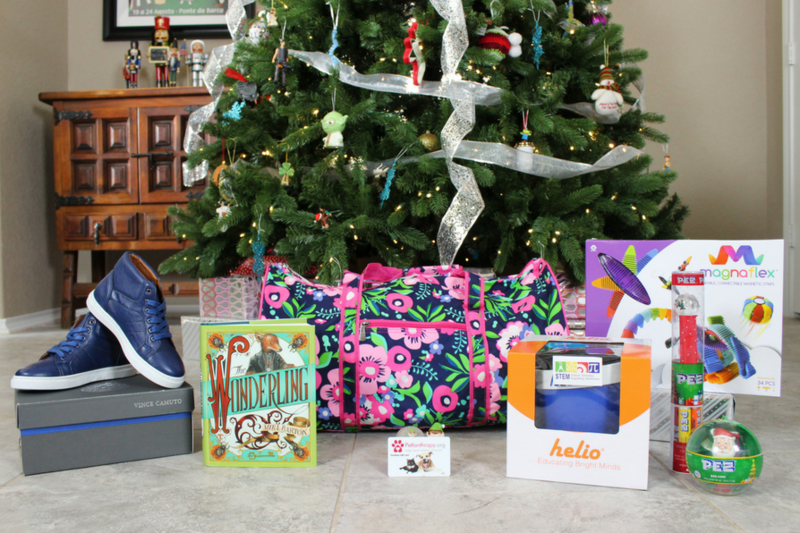 This is a great list of gifts for kids that parents will love too! 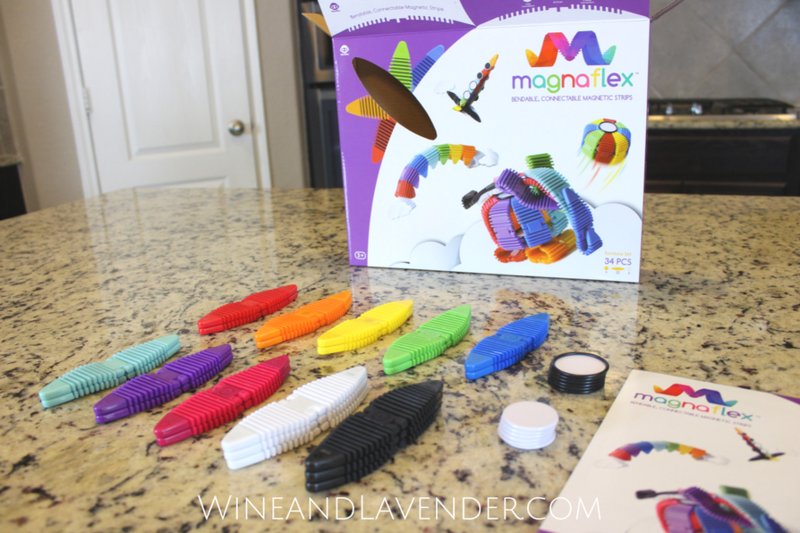 I love the bag and the Magnaflex looks like fun for both kids and parents to play with! Thanks you for this wonderful list for kids. My daughter is years old and I will give Pez Ornament and tube to my daughter. It will be safe and enjoyable. They come in so many different characters, too. The Helio highlight looks awesome! My boys would totally love that. I’m also a fan of Pez candy. I fill their stockings with some every year. Thanks for sharing, Melissa! We generally buy PEZ for stocking stuffers, too. They’re both a toy and a treat! Those are some great gift ideas. 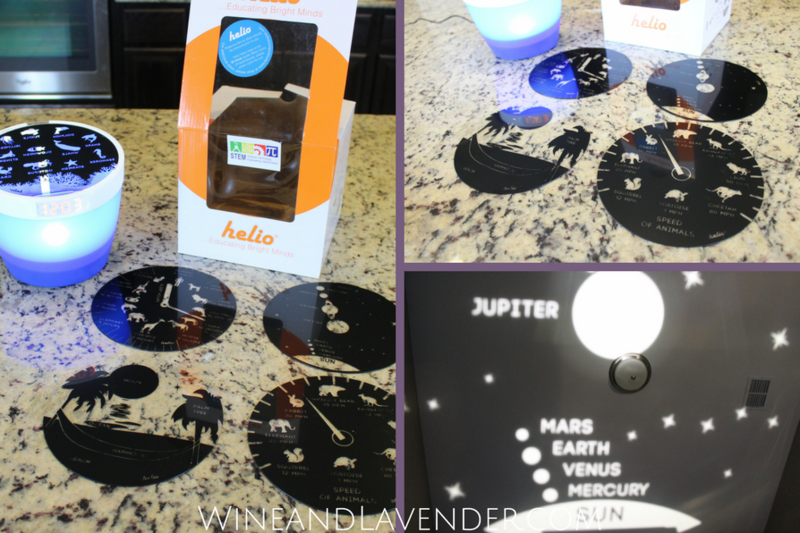 I especially love the Helio Night Light Projection System, it looks amazing and your kids get to learn about something depending on the disc shown. Exactly, Angela! We love it. Such great gift ideas! I am done my Christmas shopping thankfully but I know quite a few people still truckin through shopping I will have to share! I LOVE the sneakers! They are so nice!! These are some great gifts, the first one is one that would interest my seven year old as she loves building things. The kids have been going at it with the Magnaflex for days! They love them. 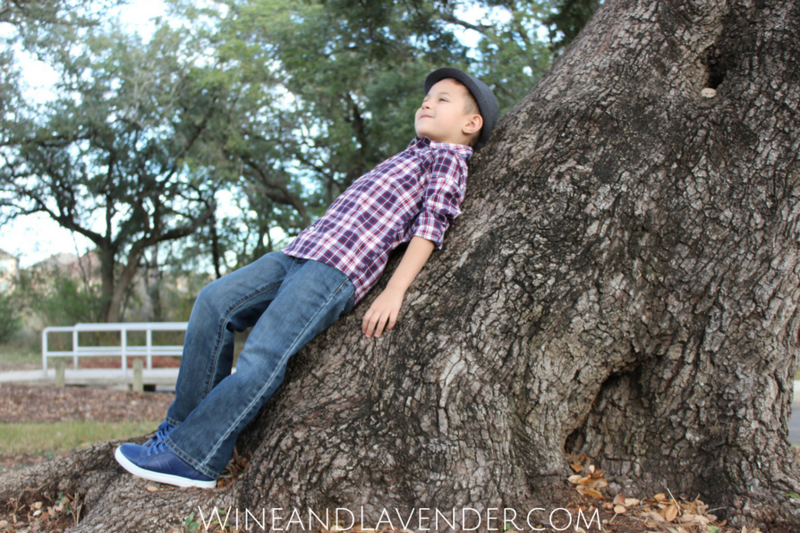 I like to share my experiences in Parenting, Momlife, San Antonio, Frugal Living, and WINE. (Lots of wine!) Check out my posts for some great tips and tricks, and you can find me all over social media as @WineandLavender. You can also find me in the Mommy Matters Column at San Antonio Woman Magazine.